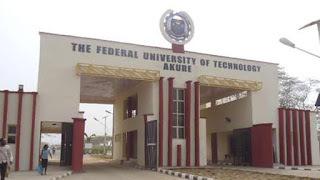 Federal University of Technology, Akure (FUTA), has launched a CubeSat, with the code name NigeriaEdusat-1, into space from the Kennedy Space Centre in Florida, United States. The Nigerian Cubesat is a component of the Birds 1 satellites, comprising of four other CubeSats belonging to Japan, Ghana, Mongolia and Bangladesh. They were launched from the SpaceX Falcon9 Rocket. A statement issued in Akure yesterday by the Head, Media and Protocol Unit of the university, Mr. Adegbenro Adebanjo, said the university was poised to achieve major breakthrough with the new technology. FUTA sought to make satellite technology popular among members of staff and students of the university for the purpose of research, resources and environmental management and sustainable socio-economic development of the nation. The first ever university satellite to be launched in Nigeria has Mr. Ibukun Adebolu of FUTA’s Department of Mechanical Engineering as the representative of Nigeria on the project. “The CubeSats would be launched and docked to the International Space Station where the satellites would be deployed into lower orbit during the last week of June 2017. “The satellite technology development in the long run shall have spillover effects on Science, Technology, Engineering and Mathematics education that is an essential tool for a country industrial development,’’ the statement read in part.